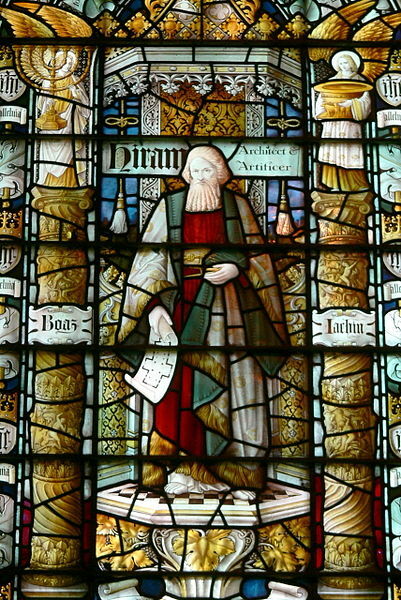 showing Hiram, the architect of the temple in Jerusalem. 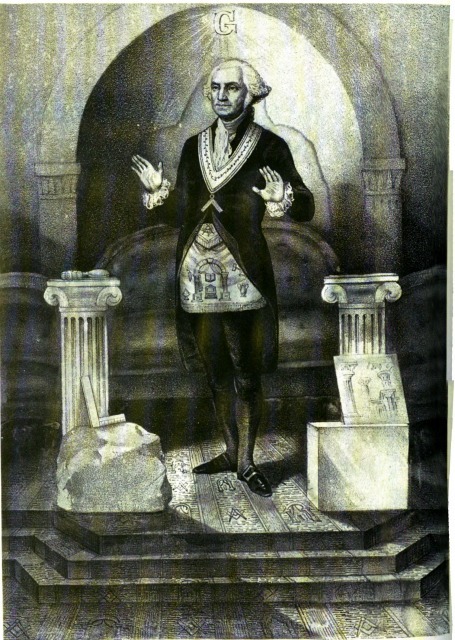 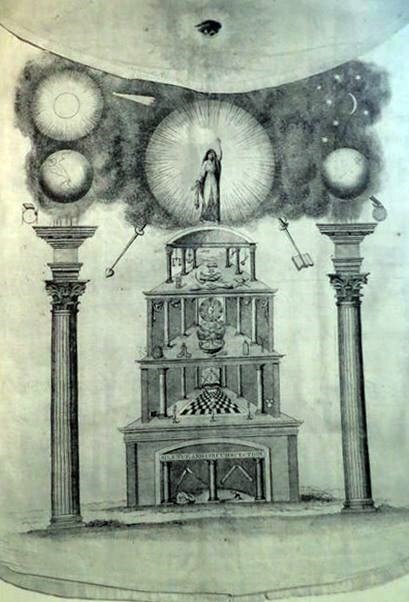 Print of "Washington As Master Mason." 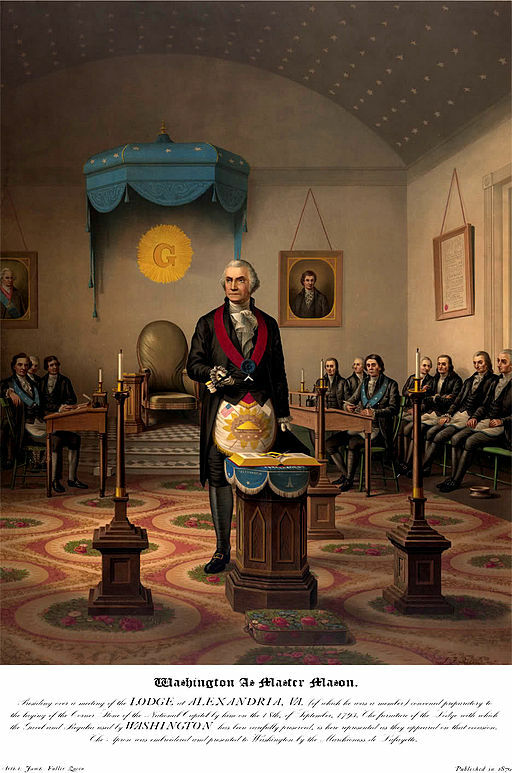 U. S. President George Washington presiding over a meeting of the Lodge of the Alexandria, Virginia Masonic Lodge. 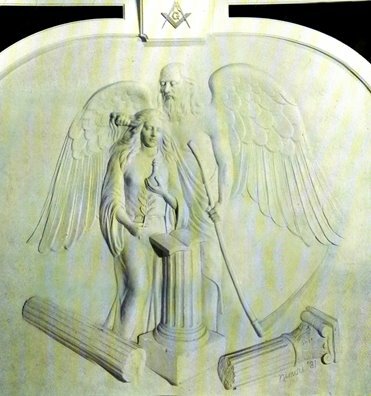 This meeting prepared the lodge to lay the cornerstone for the United States Capitol on September 18, 1793. 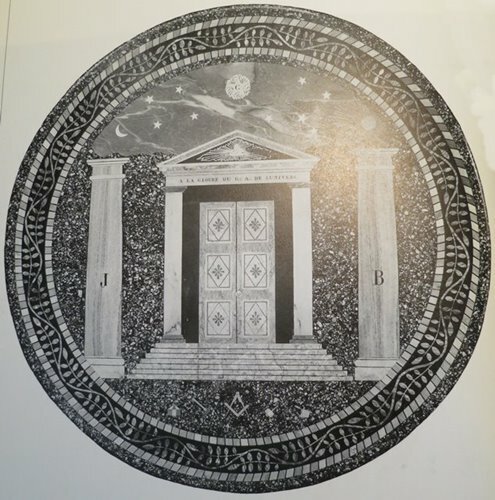 "President Washington wears the full regalia of his Master Mason degree including the famous Masonic apron made for him by Marchioness de Lafayette, the wife of Marquis de Lafayette, also a Mason. 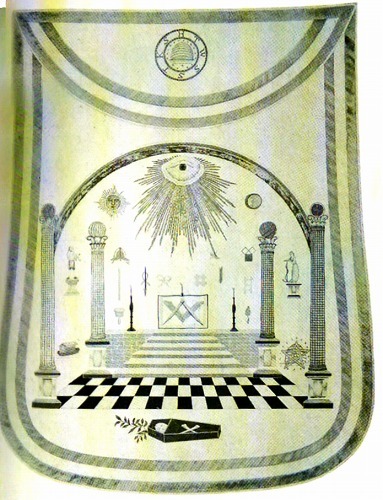 The apron, one of two given by the Marchioness, still exists. 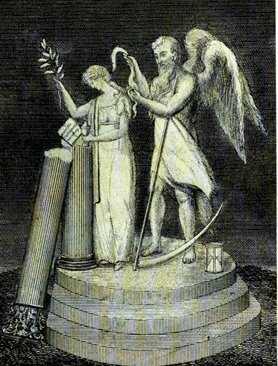 President Washington holds a gavel in his right hand. 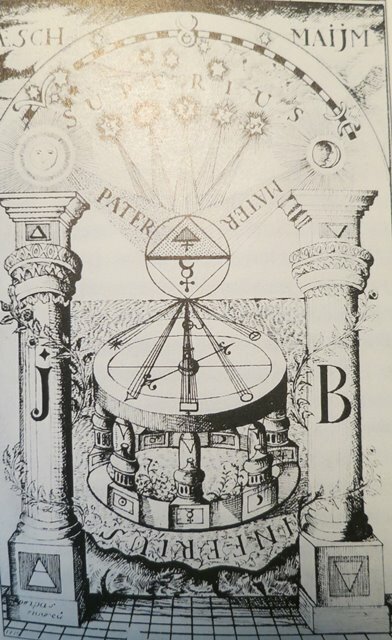 He stands before a stand holding an open Bible with a square and compass on it."